Easy living at Iron Horse Flats. 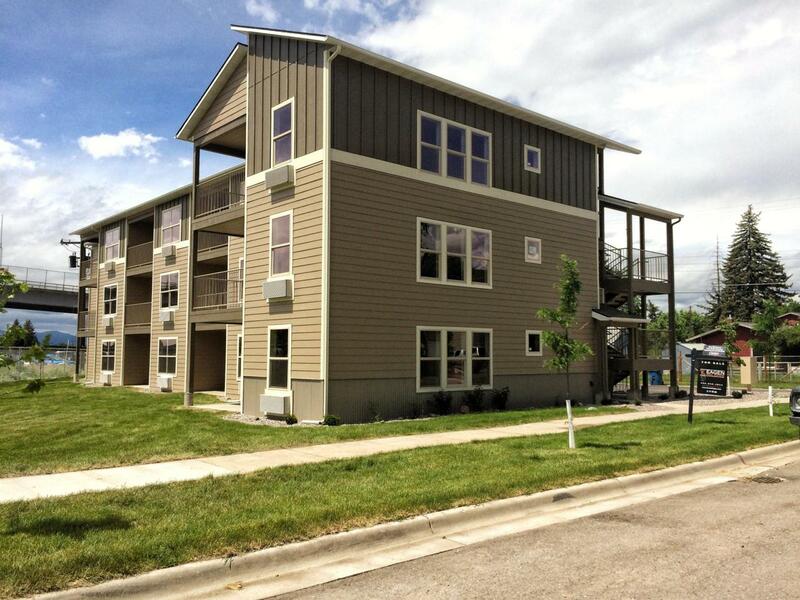 15 Brand new condominiums located in Missoula's historic Northside neighborhood. All units are custom built one bedroom/one bathroom 730+ sqft condominiums featuring corrugated metal exteriors accented with stone and hard board siding. Wood accent vinyl flooring throughout each unit. Custom alder wood cabinets, granite countertops in kitchen. Stained wood trim, clean white walls, with covered concrete decks and balconies. Laundry closet and storage unit. High efficiency electric heat and air conditioning. Great location. Walking and biking distance from Lowell Elementary School, shopping, downtown and the University. Access to Mountain Line bus line stops. Call Jessie Eagen at (406) 542-1811, or your real estate professional to schedule a showing.